Machines for de-stoning different fruits and berries. 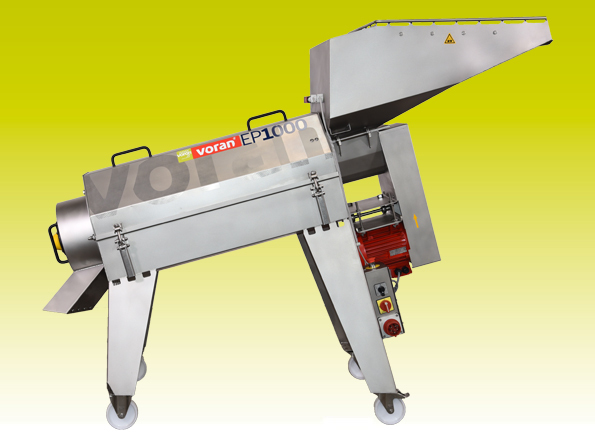 De-stoning machines ensure cleanest separation of core and fruit and perfect consistency of the passed fruit mass. The raw goods are inserted into the filling funnels that were designed for standard boxes and fed in doses via a central screw to the rotor’s rubber lips. 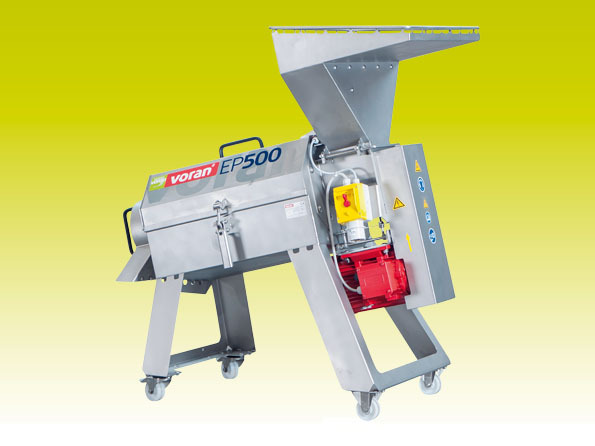 Driven by belts, these gently throw the raw goods through the installed drum sieve. The mash passed in this way flows through the drum sieve into the mash capture container to the mash dispensing connection DN65. The machines need minimum floor space thanks to its compact construction, powerful drive with adequate reserves for ongoing use and easily exchanged sieves with different diameters for processing different core sizes. 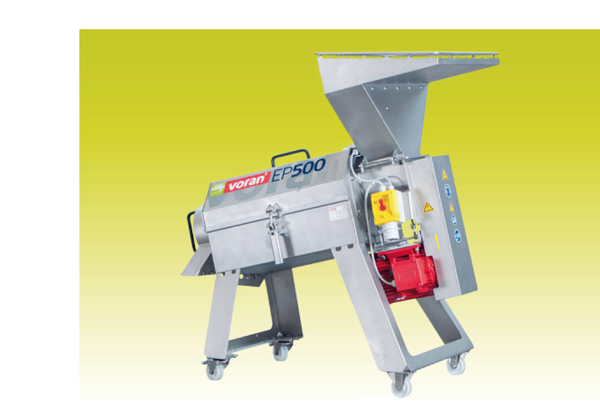 The de-stoning units are basically suited to separating hard and soft materials. It is therefore possible, for example, to separate strawberries cleanly from leaves and stems or ripe William’s pears from the cores and stems. After cooking, apples can be separated from cores, stems and skin.